The 2014 Sunday League reached its conclusion with the final sweep round at Durham on October 5th. We were blessed with fine weather for what promised to be a tense contest for the six teams still in with a chance of the title. Cakes duly baked and post-event BBQ arranged battle commenced for DARC’s 6 teams. The Dynasaurs came up against the leaders, Tyne Young Boys, in the first round of races and were found wanting which didn’t help their cause, effectively deciding the destiny of the trophy in the Open competition and also ending Darc’n’Dandy’s slender hopes of catching the leaders. Each round of the League presents fresh challenges for participants. 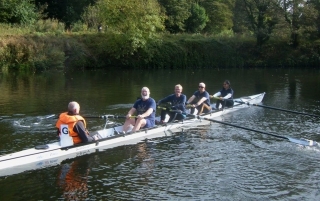 Steering sweep boats along the narrow course taking in a bend in the River Wear was no exception and proved to be taxing for some novice coxes. Tees were on half points this time as a result of one of their number attending a wedding, and despite Darc’n’Dandy winning all 4 of their races for the third round in succession it was not enough for them to overhaul the leaders who also won all their races. At the end of the day Tyne Young Boys (TYN) emerged victorious by 2 points with Darc’n’Dandy 2nd, followed closely by DARC Dynasaurs, with Wreckology (Tees) a further point behind. In the Women’s competition Tyney Temp Oar (Tyne) also won their 4 races to extend their 1 point lead over Teeslicious (Tees) and secure victory by 2 points. Go wit’the Flow (DARC) returned to competition after a 4-month break but DARC Demons won 2 races to finish as the top DARC crew over the season, finishing in 4th place overall. All was superbly orchestrated by Caroline. After a vote of thanks by the incoming President trophies and prizes were presented to the winners and runners-up in each category before the BBQ got underway. Sadly this was to be the final foray for some but many can look forward to renewing friendly rivalry when competition resumes next Spring as the League goes from strength to strength. 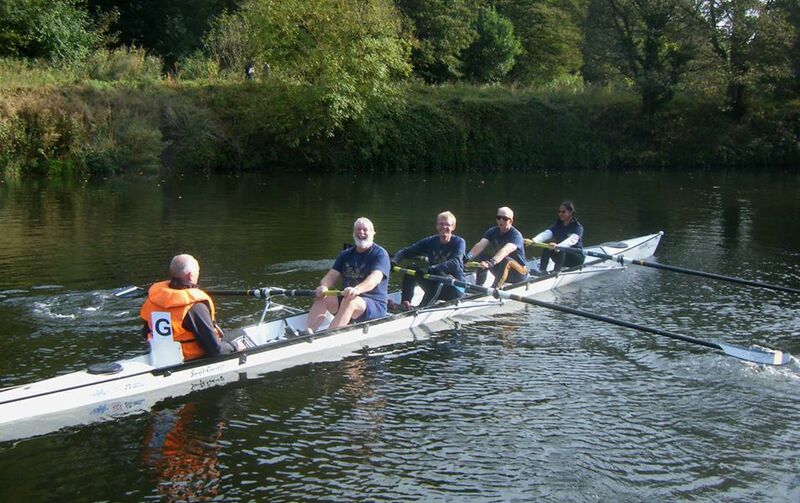 See photos and final placings on Northern Rowing website, and more photos of the day’s events. This entry was posted in Racing News on October 8, 2014 by Colin Lawson.